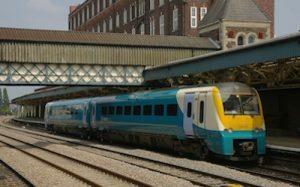 The future growth in demand for passenger services in Wales has been reviewed in a long term planning document published by Network Rail. Forecasts have been made to 2043 on the basis of the UK economy prospering in a background of global stability. A shorter term out focussing on traffic increases up until 2023 has also been provided to provide context for the 5-year High Level Output Statement to be published in the summer of 2017 which will be refined to determine capacity enhancement requirements for Control Period 6 which starts in April 2019. Passenger demand in Wales has grown by 43% since 2003 to reach 30 million journeys as the Welsh economy moves from the traditional heartland of heavy industry to knowledge based activity that provides employment in city centres. Four hubs that make up the regional urban market identified in the NR study reflect this. 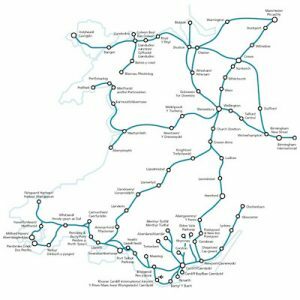 As well as local journeys to Cardiff and Swansea, there are flows from stations in South Wales to the Greater Bristol area and from Wrexham to North West conurbations. In aggregate this market is expected to rise by 63% in 2023 and 144% by 2043. For local travel to Cardiff, the highest increase is for travel on the Ebbw Vale line where passenger numbers are expected to rise by 112% in 2023 and 205% by 2043. The route opened in 2008 and has since been extended with the provision of additional stations. 1 million journeys were made within 20 months of services commencing. The Valley lines are forecast to require additional capacity to cater for 76% more passengers in 2023, rising to 153% by 2043. Growth expectations are less for long distance services despite planned electrification between London, Cardiff, and Swansea. Here, volume is forecast to grow by 34% for Cardiff and 28% for Swansea by 2023, this assumes wiring to Cardiff by 2018 and extension to Swansea by 2024. The services to London, the West Midlands and North West that run on the North Wales coastal route have low growth forecasts of between 16% and 27% by 2023 but transformational change is expected once HS2 reaches Crewe in 2026. Stakeholders believe the line should be electrified certainly by the time HS2 is commissioned with the work including links from Chester to enable services to operate to Manchester and Liverpool. A cost estimate of £765 million has been made but the prospect for revenue growth and reduction in operating costs suggest the benefit cost ratio (BCR) over 30 years would be only 0.58 leading to NR judging the project poor value for money. It is likely that more detailed work involving the pattern of services that might emerge after HS2 reaches Crewe and the development of travel to work journeys from coastal towns to employment centres in the North West will improve the BCR to bring a better case for investment.